Soil Technologies is committed to providing the highest quality, environmentally sound products, to offer a viable contribution to the emerging global market for safe, sustainable regenerative solutions in agriculture and turf management. Soil Tech arose as a market leader in 1982, and began to meet the growing requirement for biological products in the agricultural marketplace. From these early beginnings the company has evolved into a diverse organization offering multiple natural alternatives for many agronomic markets, including large field agriculture, golf course turf grass, horticulture - open field and greenhouse, landscaping, lawn and garden markets and direct to consumer online merchandising. With it's diverse array of technologies, Soil Tech offers effective alternatives for disease and pest controls, fertilizers, soil conditioners, biostimulants, aquatic and soil bioremediation products. Our products have been developed through original research and development, along with licensed technologies from other companies and universities. The technical composition of our products utilize live microbial agents, natural plant extracts, unprocessed mineral plant nutrients, raw plant oils and all natural carrier materials. 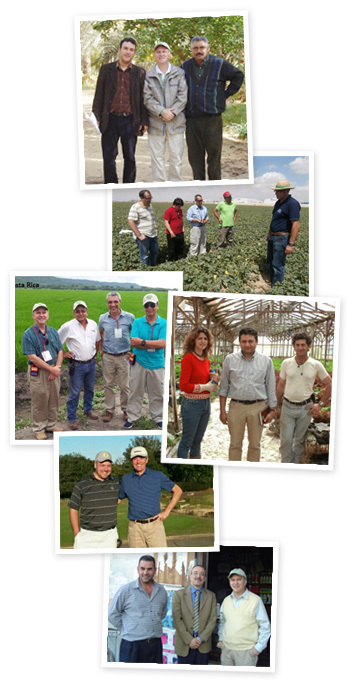 Many of the products from the company are approved for use in certified organic agriculture production. Soil Tech distributes its technologies to over 25 countries world wide, with the majority of trade being international. We are currently expanding trade in many regions of the world, including Europe, Africa, the Middle East, SE Asia and Latin America. We welcome you to our website and will be happy to assist you in your search for healthy and effective solutions. Please feel free to contact us.